Handicrafts can be a wonderful way to pass the time, produce objects of distinctive beauty and occasionally even make something useful like a place to rest a hot pot. 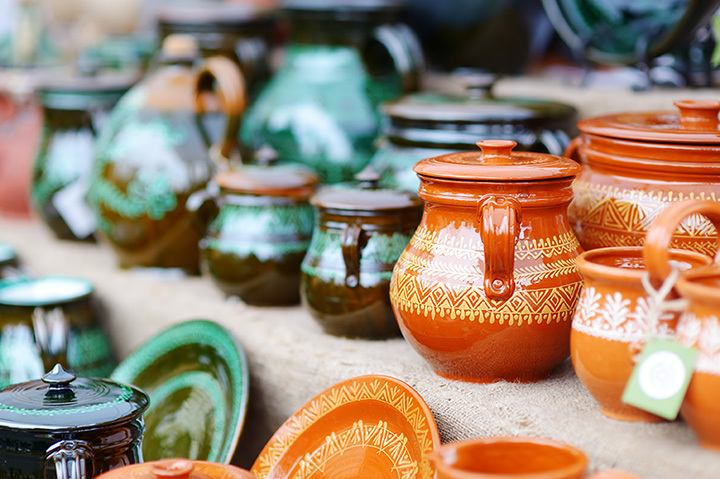 To get together with a community of similar interests and explore an abundance of crafts from other artists, a Michigan craft show is a must-visit. Those with a crafty bent will want to check these out for themselves, and we've got a collection of 10 great ones to check out if you're in Michigan! Those in Northville around April will get a look at a long-running craft event. The Handcrafters Spring Fling Art & Handcrafted Market has been running for over 38 years now, and at last report featured 75 juried artists from all around the United States showing off the best in handmade craft work. Easter art, garden art and more will all be on hand, and even better, there are two other versions throughout the year, the Fall Art Show and the Tinsel and Treasures Show. A craft fair in Ann Arbor, the Spring Fiber Expo brings together over 40 different exhibitors to show off the latest advances in fiber. All kinds of fiber will be on hand, from plant fibers like cotton and linen to animal fibers like wool and alpaca. Visitors will not only be able to see examples of the animals and plants that generate this fiber, but also examples of the end results of running that fiber through various processes. With over 100 crafters, Winter Wonderland Westland is easily one of the biggest shows the state has to offer. Crafters are actually selected by jury process, so expect to see some of the best around as judged by a jury of their peers. Best of all, it runs in early December, so those who would like to take a stab at finding a truly unique Christmas present can stop in right here. Saline will offer two examples of this craft show, one in March that's the Spring Craft Show, and one in November, which is named for the month. The Saline show is said to be one of the best in Michigan, and not only features over 150 separate craft booths, but also boasts a bake sale, a silent auction, and more, ensuring that there's something here for just about anybody. It's a great show to support not only for the crafts, but also for the fact that many of the exhibitors are young folks who are offering up crafts as an early business venture. Every year, the Ada Arts Council in Ada puts on a grand exhibition of crafts, as well as arts, for visitors to check out. It's not just a craft show, but rather a complete art show as well, featuring visual artists, musicians, photographers and a host of others, all in the midst of the historic Bronson Street area. Throw in food and a set of kid-friendly activities and this could be an all-day stay even for a family visit. Every year, Royal Oak plays host to the International Glass Exhibition at the Habatat Galleries, and it's an event that's been going on for the last 44 years now. The International Glass Exhibition focuses on glass, as the name suggests, and draws in artists from all over the world, also as the name suggests. It's said to be the largest such event around, so for those who want to check out what's going on in glass, it's a great opportunity coming up. If you’ve already finished exploring the Westland show, consider following it up with the MSU Arts and Crafts Holiday Show in East Lansing. No matter what it is you've got in mind, chances are it will be somewhere in here. With furniture, candles, aromatherapy items and more on hand, you'll find your handicraft of choice right here. Throw in free admission and that makes for a show worth stopping in and at least having a look around. Pentwater hosts its annual Fine Arts and Crafts Fair, boasting some of the finest crafts in the area. It's widely regarded as one of the best events Pentwater hosts, and features a variety of exhibitors all within a pleasant small town setting. Home to over 100 independent crafters, the Detroit Urban Craft Fair may not be anything you expected, but for crafters, there will be no shortage of exciting things to see here. Home to a constantly-shifting slate of attendees, with new exhibitors intermingling freely with old favorites in just about every field from textiles to pottery and beyond. If it can be made by hand, it probably will be at the Detroit Urban Craft Fair! Elf Shelf, an annual craft show in Troy, is the Troy Women's Association's primary fundraising activity. Featuring a variety of crafts ranging from toys to jewelry and beyond, the event allows patrons to not only check out a wide array of handicrafts, but also do some good in the process by contributing to an organization that in turn supports local youth and scholarship efforts. Since it's on the Saturday after Thanksgiving, shoppers can skip the Black Friday mayhem and instead check out something a little more positive. View more Michigan Craft Fairs.